When it was first initiated, the Forest Products Tax in Virginia was paid by the lumber mills or other large forest products companies – entities that have a fixed place of business. But industry practices have changed over the years, and more timber is being chipped or otherwise processed in the forests by logging companies before being transferred to manufacturers for use or further processing. These industry practice changes have led to more loggers becoming responsible for paying the Forest Products Tax. 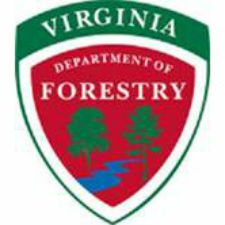 During the 2015 session of the Virginia General Assembly, Delegates C. Matthew Fariss and Mark D. Sickles introduced legislation (known as House Bill 1724) that would shift the imposition of the Forest Products Tax from logging companies to the “first manufacturer operating from a fixed place of business.” The bill was championed by the Virginia Forestry Association, the Virginia Loggers Association, Virginia Agribusiness Council, Virginia Farm Bureau and the Virginia Forest Products Association and supported by the Virginia Department of Forestry and the Virginia Department of Taxation. The bill, which was approved unanimously by the General Assembly and signed into law by Gov. Terry McAuliffe, goes into effect July 1, 2015. There is one exception to the new law. If there isn’t a manufacturer, or the manufacturer is outside of the Commonwealth and is not registered for the tax, the person or company harvesting the wood must pay the tax. Manufacturers based outside of Virginia can register for the tax, but they are not required to do so. If you have any questions regarding the implementation or application of the new law, please contact the Department of Taxation’s Miscellaneous Tax Unit at (804) 786-2450.